On April 14, 2018, in Kazan, the Kontinental Hockey League and the Republic of Tatarstan signed an agreement stating that the 2019 Week of Hockey Stars will be hosted in the Republic. 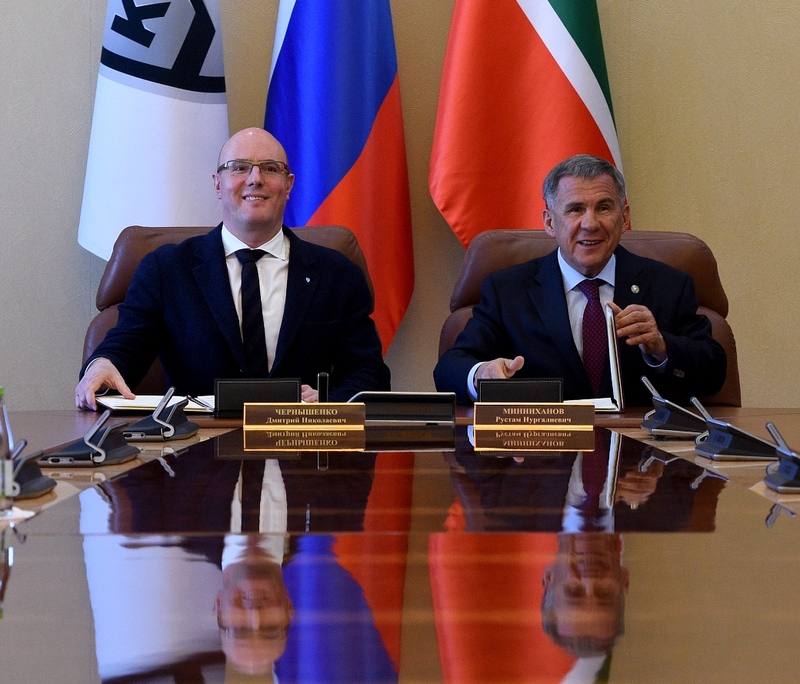 The ceremony was attended by the President of the Republic of Tatarstan, R. N. Minnikhanov, and the President of the KHL, Dmitry N. Chernyshenko. The decision to grant Tatarstan the right to host the 2019 Week of Hockey Stars was made after studying the applications received from four candidate cities. Kazan's fellow applicants and rivals were Omsk, Magnitogorsk and Helsinki. The Republic was chosen due to its having the most complete compliance with all the judging criteria: support at a high state level, developed infrastructure and convenient location of facilities for all participant groups, plus a wealth of experience in staging sporting events of various sizes. The document signed by the parties emphasizes that the event is important for the Republic of Tatarstan, and that the biggest shows of the season for the three Leagues must be held at the highest organizational level. The agreement contains all the necessary provisions and obligations that are shared between the parties. Tatarstan will be the third region to host the Week of Hockey Stars. The Republic offered to hold these festive events in three cities where hockey is loved and well supported: Kazan, Nizhnekamsk and Almetyevsk. The Week of Hockey Stars will begin in Nizhnekamsk with the YHL Challenge Cup, while the Women's Hockey League All-Star Game will be held on January 12 and 13. The KHL All-Star Weekend, will take place in Kazan on January 19 and 20 and will comprise the the Master Show and the All-Star Game. Additional festive events for fans will be held on these days in Almetyevsk. 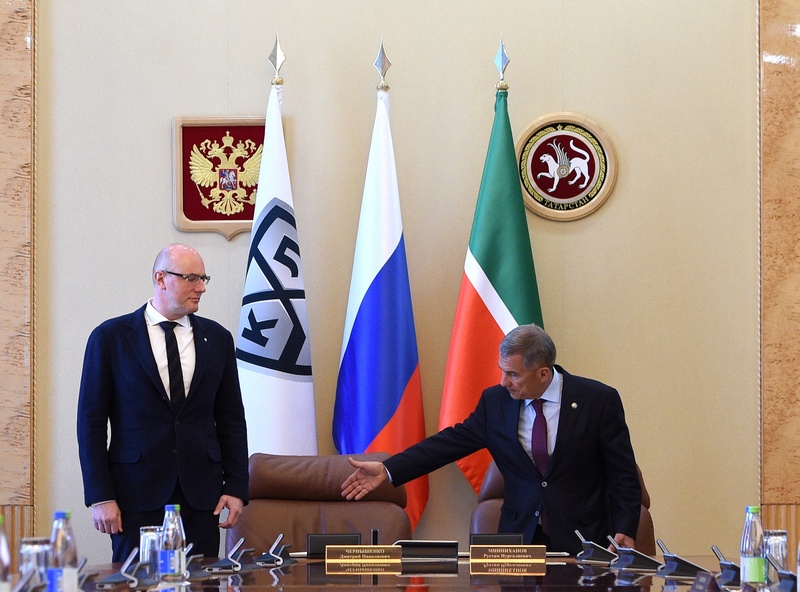 – We are grateful to the Republic of Tatarstan, and personally, to President Rustam Minnikhanov for all the effort that has been made to win this accolade. I must underline that the 2019 Week of Hockey Stars will be held not in just one city, but across the whole Republic. 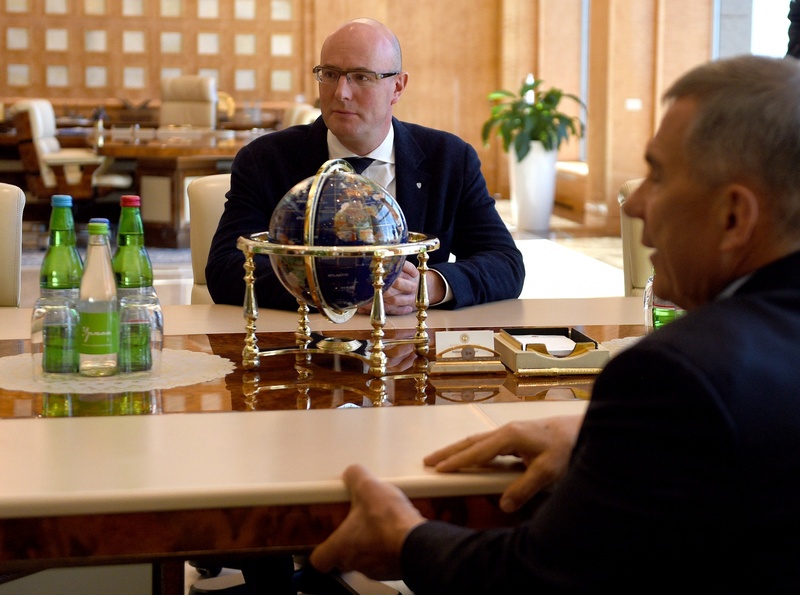 Tatarstan has well-developed infrastructure and a passion for hockey. The Week of Hockey Stars will be staged in three cities: Kazan, Nizhnekamsk and Almetyevsk. Of the four candidates, Kazan turned out to be the clear winner, leaving the others far behind. The main criteria for selection were state support, local infrastructure, the passion of the home fans and the presence of a well-known hockey school. All competitions on the Russian hockey vertical – the KHL, VHL, MHL, and children's hockey – are well represented in Tatarstan. I hope that this great festive occasion, which we will be jointly organizing, will linger in the memory for a very long time, and that Tatarstan will set new records which will be very difficult to match or surpass. We intend to raise the bar very high. – I want to thank our colleagues for the fact that this event, which is not just a national, but a global occasion, is to be held in our Republic. Hockey has always been and will remain the number one sport in Tatarstan, and even though we play a lot of different sports here, hockey is still special. This event will give impetus to raising the prestige of hockey and promoting the game. Many questions will need to be addressed, but we are looking forward to a wonderful celebration. We will do everything we can to make it hard for our rivals to match our achievements. Thank you very much. We will justify your faith. – We have talked many times with the leadership of the KHL about the possibility of holding the 2019 Week of Hockey Stars in Tatarstan. As a result, everything came together, with the government of our Republic and the management of the League jointly making this positive decision to hold this grand hockey event in January of 2019 in three of our region's cities – Kazan, Nizhnekamsk and Almetyevsk. These are all bases for professional clubs – Ak Bars, Neftekhimik, and Neftyanik - playing in different Russian hockey leagues. It is certainly a great honor and a huge responsibility for Tatarstan to host an event such as the Week Of Hockey Stars. In addition to the All-Star Game and the Master Show, we will also organize a variety of other sporting events, which are currently under consideration and discussion. In any case, there will be plenty of pleasant surprises for hockey fans.